Protect the structural integrity of the window in that, the window should not support any load other than its own weight. There must be an air tight seal around the window. 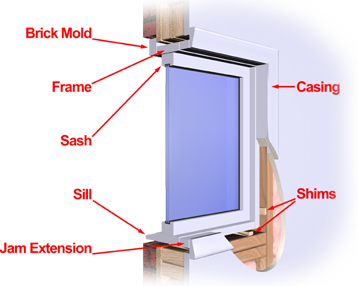 There must be continuous and unbroken thermal insulation between the frame of the window and the wall. There must be some allowance for differential movement between the window and the wall opening. And finally, that installation must serve to maximize the performance of the energy-efficient features of the window.